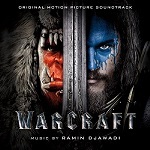 Ramin Djawadi was born in Germany with his surname coming from his Iranian father. After graduating from the Berklee College of Music, he gained a lot of practical experience (essentially serving his composer "apprenticeship") in Hans Zimmer's Remote Control Productions working as assistant for Klaus Badelt. He worked on a number of their film scores creating arrangements and writing additional music. He then landed his first job as composer on the TV Series "Prison Break" and he hasn't looked back since. He has now garnered scoring credits for many films, TV Series and Video Games, with his name particularly associated with the highly successful TV Series "Game of Thrones". Game of Thrones is now about to enter its penultimate season (7) with Djawadi essentially scoring every episode building up a set of thematic ideas which have evolved throughout the series' run. 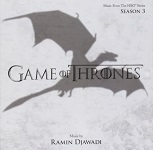 Of almost equal importance is the Game of Thrones soundscape with cellos playing a prominent role, augmented by drums, percussion and brass with occasional piano and voices. He is now scoring another highly regarded TV Series "Westworld" and looking to achieve a similar success with this, though in this case among Djawadi's original music are a number of cover versions of songs by Radiohead, The Rolling Stones and others. 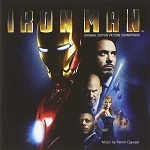 Djawadi's first major film score was for "Iron Man" and many of his score credits since then fit into the action category. 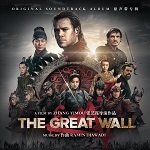 Other major films have included the remake of "Clash of the Titans", "Fright Night", "Red Dawn", "Pacific Rim" and more recently "The Great Wall" most of which have received film score releases on CD and for download. However he has also created lighter scores for a number of animations including "Open Season", "A Turtle's Tale" and the 3D animation "Fly Me To The Moon". 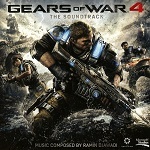 From a Video Games perspective Djawadi has scored "Medal of Honor" and "Gears of War 4", and the film "Warcraft: The Beginning" based on the Warcraft game series. But it is undoubtedly his Television music for which the composer is currently best known with "Prison Break", "Person of Interest", "Game of Thrones" and "Westworld" all having a sizeable fan following. A Concert Tour featuring music from "Game of Thrones" is now in preparation so expect more news about this later in 2017. 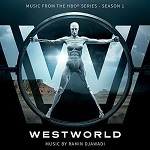 It's Complicated - Hans Zimmer score but with Djawadi as "Party Musician"
Breakout Kings - a spinoff from "Prison Break"
Westworld - musically diverse with Djawadi's score tracks side by side with Claude Debussy, Scott Joplin, Radiohead and "Paint It Black"
All the Game of Thrones soundtrack albums are great, but we especially recommend Seasons 5 and 6.